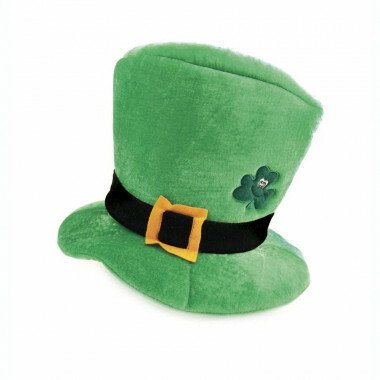 A genuine Leprechaun, Shamrock and buckle hat that will bring you good luck! The perfect attire for Saint Patrick's Day, a rugby match or to play the lottery! Size: height 24 cm; 19 cm head circumference; 34 cm total diameter.